Helps you with timers, step-by-step recipes, and conversions- Just by using your voice, get the latest weather, news, sports and more- Seamless connections to the latest compatible smart lights and thermostatsBring the power of Google and the convenience of voice-interaction into the living room with the Google Home Mini hands-free smart speaker. Use Google Mini with your Chromecast and stream shows, movies, and music with just your voice. 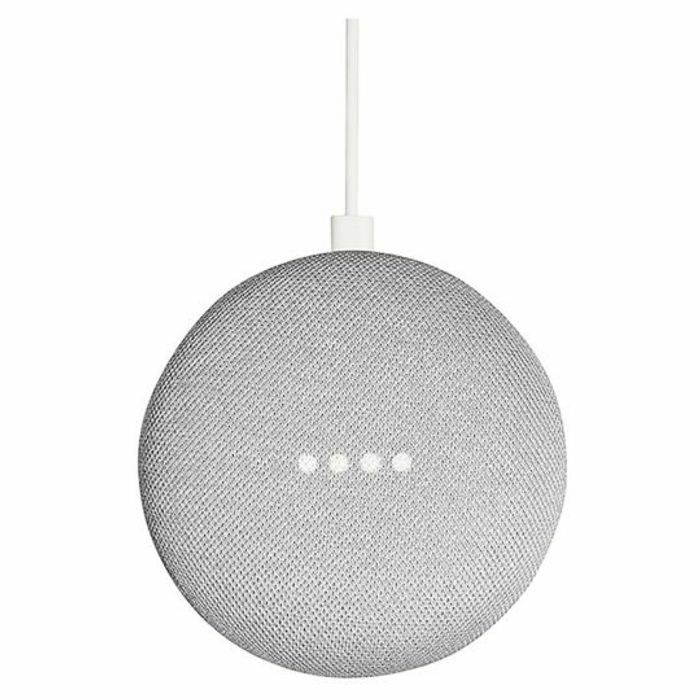 Google Home Mini works with Android: 4.2 or higher and iOS: 8.0 or higher. It is also compatible with Nest, Philips Hue, Hive, Samsung SmartThings, IFTTT, TP-Link, Spotify, Google Play, TuneIn, YouTube, Netflix, Google Photos, Google Chromecast, Philips, Sony and more. Seems like a good price. Cheapest I've seen them is £49. So this is a bargain!